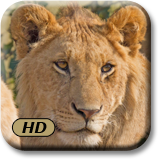 Admire rare tigers and cubs with our Wallpaper app in the Nook Marketplace! 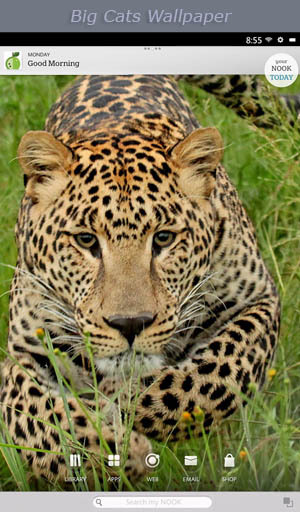 Nature�s fierce felines, Big Cats Wallpapers for your device home and lock screen! 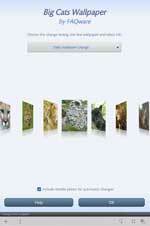 Get up close to jaguars, leopards, lions, tigers, cheetahs, panthers, cougars, and more. See these magnificent felines before they become extinct. Over 45 high resolution wallpapers revolve automatically each week, day, hour, or minute. Change wallpaper photos any time with a swipe up or down! Have fun personalizing your device. You'll also enjoy our "A+ Tigers and Cubs" Wallpaper too! All Wallpapers are installed via the device�s Wallpaper Dialog that appears when you touch a blank area of the home screen for a couple of seconds. Select the Live Wallpapers Icon (HD/HD+) or Live Wallpapers Tab (Color/Tablet). Now tap the Big Cats Wallpaper choice. This brings up the preview screen. Now tap the Set Wallpaper button (at the bottom) to start your new wallpaper. It comes preset to change the photos daily. Personalize how often photos change, which photo to start, and select which photos to include or exclude. Start with steps 1, 2 and 3 above to get to the preview screen. Tap Settings... (HD/HD+) or Configure Wallpaper (device Color/Tablet). The drop-down menu near the top lets you choose how often the photos change or if you prefer no automatic change. Select your desired timing option. In the center, you can swipe left or right to view different photos. The photo in the middle is the current selection. If you want the current photo to be excluded in the timed change, un-check the box Include middle photo for automatic changes. When you are satisfied with your options, tap the OK button. This returns you to the preview screen. Now, tap the Set Wallpaper button. Nook is a registered trademark of Barnes and Noble, Inc.
©2010-2019 FAQware. All rights reserved.